We want to provide you with clear and complete information about which personal data casadatapa.com site gather and how you can view and control its handling. On 25th May 2018, came into effect in the European Union the General Data Protection Regulation. It provides strict and specific guidelines on how personal data is gathered and handled. This also affects companies and individuals that reside outside of the EU but collect data from EU citizens. If you notice we missed any crucial information you need, please contact: info@casadatapa.com. We are CASA DO BAIRRO DA TAPA – ALOJAMENTO LOCAL E SERVIÇOS COMPLEMENTARES, LDA, owners of CASA DA TAPA 7 (Local Lodging License #62813/AL) and the casadatapa.com website. You can find more information about us, including our full address and company details , on our about page. If you book via an external booking platform (i.e. Booking.com, Airbnb, Homeaway or Tripadvisor Rentals – among others) the information provided to such entities/platform is under their individual privacy policies. The only personal information passed on to us is the minimum required for your booking: Name and Phone number. Strictly necessary purposes: To ensure site security. Without this type of technology we can’t secure our site from unwanted login attempts as well as validate your contact forms. Performance purposes: To analyse how visitors use a website, for instance which pages visitors visit most often, in order to provide a better user experience. Personalisation purposes: To remember choices you have made — such as language or region. If you are using our Services via a browser you can restrict, block or remove cookies through your web browser settings. The Help menu on the menu bar of most browsers also tells you how to prevent your browser from accepting new cookies, how to delete old cookies, how to have the browser notify you when you receive a new cookie and how to disable cookies altogether. You can also visit http://www.aboutcookies.org for more information on how to manage and remove cookies across a number of different internet browsers. WP Fastest Cache cookies – these are used by WP Fastest Cache plugin to monitor referrer and user identification for caching purposes. Shield Security cookies – this is used by the Shield Security plugin to provide brute force security in logins by monitoring user cookies. Information submitted through the contact forms on our site are sent to our company email, hosted by SiteGround. SiteGround adheres to the EU “Privacy Shield” policy and you can find more information about this here. We don’t share your data with third-parties in a way as to reveal any of your personal information like email, name, etc. However, some data is transferred and/or stored with third-party services we use, like payment processors. This is done as a way to provide you with payment alternatives. PayPal – we use Paypal as one of our payment processor. During checkout, a client will provide login information and credit card info. This information is processed directly within this gateway payment and we do not save it or have access to it on our sites. You are not a registered client in our site, so there is no personal information we have registered in the site database that we can see about you. The only information we retain is site statistics data and that given via email or contact form. Emails: Until you ask as to remove. This does not include any data we are obliged to keep for administrative, legal, or security purposes. In short, we cannot erase data that is vital to you being our customer (i.e. basic account information like an email address and telephone number, legal documents and relevant fiscal information). We are entirely using SSL/HTTPS throughout our site. This encrypts our user communications with the servers so personal identifiable information is never captured by third parties. All our internal computers are equipped with updated security software. All our internal network communications are encrypted. You can request in written form a copy and/or destruction of personal data we hold about you. This does not include any data we are obliged to keep for administrative, legal, or security purposes. In short, we cannot erase data that is vital to you being our customer (i.e. basic account information like an email address and telephone number, relevant legal and fiscal information). Any further questions you might have regarding Data Privacy please refer to www.cnpd.pt. The information contained in this website has been carefully treated in order to make it as accurate as possible. However, no warranty, expressed or implied, is given that the information is complete or accurate nor that it is fit for a particular purpose. All such warranties are expressly disclaimed and excluded. In using this website you acknowledge that the details regarding Casa da Tapa 7 and all other information may include inaccuracies or errors. Neither Casa da Tapa 7 nor any other party involved in creating, producing or delivering the website shall be liable for any direct, incidental, consequential, indirect or punitive damages arising out of your access to, or use of, the website. Casa da Tapa 7 does not warrant that the functional aspects of the website will be uninterrupted or error free or that this website or the server that makes it available are free of viruses or other harmful components. This website may contain hyperlinks to websites operated by parties other than Casa da Tapa 7. Such hyperlinks are provided for your reference only. Casa da Tapa 7 does not control such websites and is not responsible for their contents. The inclusion of hyperlinks on this website to such other websites does not imply any endorsement of the material on such websites or any association with their operators. All use by you of this website is at your own risk. Neither Casa da Tapa 7 nor any representative, agent or employee nor any connected company or party will be liable for loss or damages arising out of or in connection with your use of any information, products, services etc. offered through this website You accept all risks and responsibility for losses, damages, costs and other consequences resulting directly or indirectly from using this site and any information or material available from it. To the maximum permitted by law, Casa da Tapa 7 excludes all liability to any person arising directly or indirectly from using this site and any information or material available from it. Without limiting the foregoing, everything on the website is provided to you “as is” without warranty of any kind, either expressed or implied, including, but not limited to, the implied warranties of merchantability, fitness for a particular purpose, or non-infringement. Please note that some jurisdictions may not allow the exclusion of implied warranties, so some of the above exclusions may not apply to you. Casa da Tapa 7 reserves the right to make changes to this website at any time without notice. Casa da Tapa 7 owns the copyright to the information contained on this web page. Casa da Tapa 7 is licensed by the copyright owner to display the information and we are authorized to display it. You are not authorized to distribute, copy or display this web page, any other pages within this website or any section thereof for commercial gain and you may only use the information for your own internal purposes. You are forbidden from collecting information from this website and incorporating it into your own database or products. As a condition of your use of this website, you undertake to Casa da Tapa 7 that you will not use this website for any purpose that is unlawful or prohibited by these terms. The information on this website, including text, photos, illustrations, graphic material, (trade) names, logos, etc. 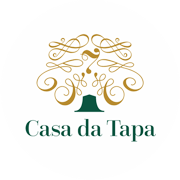 are the property of or are licensed to Casa da Tapa 7 and are protected by authors rights, copyright, logo right, and/or other intellectual property rights. Third party logos are copyright of their respective owners. These rights do not, under any circumstances extend to third parties who access this website. By accepting these terms you confirm that you are of sufficient legal age to use this web site and to create binding legal obligations for any liability you may incur as a result of the use of this website. Casa da Tapa 7 reserves the right to change these booking conditions as well as the contents of this website for any reason and without notice. When customers make a booking it is their responsibility to check these terms for changes.